We ended up at the Travelodge L.A.-West. 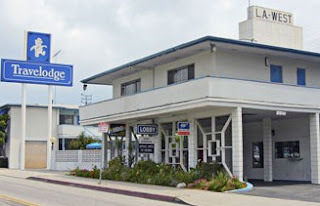 I've had experience (not good) with Travelodge having stayed in one in Santa Monica while I was looking for a place to live out here, so I was dubious that this dumpy little place I've gone past hundreds of times would be acceptable. But despite the smallness of the room and the matching teddy bear bedspreads and curtains (I am not kidding! ), James was satisfied. "Hey, they even have teddy bear soap and shampoo in the bathroom!," he told us excitedly. It doesn't take much to make James happy. Next stop was to get the weary travelers fed. We went to my favorite place--En Sushi--which has an awesome sushi happy hour 7 days a week and the world's nicest and best bartender named Damion. James and David had almost a pitcher of Kirin each, and we all filled up on fried calamari, spicy tuna roll, California roll, shrimp tempura roll, eggrolls and dumplings and sesame chicken. That didn't quite fill up the road warriors, so we got seconds of the calamari, chicken and shrimp tempura roll and David ordered some torro. By the time we finished up and got out of there, it was getting late. I took them to see Blade Runner at The Landmark at Westside Pavilion. The movie started at 7:50 pm--we got there at 8:02 pm. Thank god for trailers! By the time we got our tickets and settled in our seats, the movie was just starting. Perfect timing! Unbelievably, both James and David had room for goodies from the concession stand. I don't know where they put it...James said the theater was the best he's ever been in. Great seats, great picture, great sound. The next day James had some meetings in Riverside, so he dropped David by my apartment where I made him breakfast and he got a chance to watch the episodes of Earl, 30 Rock and The Office that I had taped on Thursday. After that, we went to Westwood, which is only a mile or two from my apartment. On the way there, we passed The Bad News Bears baseball field. David is a big fan of the movie (the original with Walter Matthau, not the unfunny Billy Bob remake...), so he appreciated that. We also saw this huge line of people as we were walking around Westwood Village. We were curious as to what was going on. Turns out it was this--Kevin Smith at the Westwood location of his Secret Stash store signing copies of his new book. David and I both love Kevin Smith--but not enough to stand in line for hours. We also walked around the UCLA campus a bit and then, because he was complaining of being too hot, we headed to a nearby Ross to buy him a t-shirt. Trolling through Ross, I found a black t-shirt with a graphic design I thought he might like. I brought it back to show him and he showed me the t-shirt he had already picked out. It was the exact same shirt! "I told you we have the same taste!," he said laughing. By that time, James was headed back to West L.A. so David I and headed back to the apartment. Later the three of us went to my all time favorite place, the Santa Monica Pier. James was intrigued by the Bubba Gump Shrimp Co. and later purchased a souvenir t-shirt there. 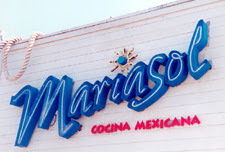 We had dinner at Mariasol which is located at the end of the pier. We sat outside in the back and had a great view of the ocean. After dinner, we headed down to Venice--a long walk along the boardwalk to burn off dinner. 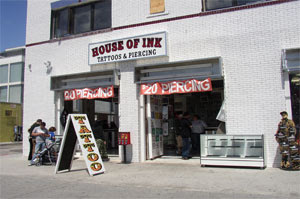 I showed them House of Ink where I got my tattoos. The tattoos themselves were the first thing they wanted to see when they arrived. James was disappointed. He was expecting a full sleeve or something...The two of them mused a bit about getting some ink of their own, but decided against it. We headed back to the pier, where the three of us rode the Ferris Wheel. Unbeknownst to me or James, David is afraid of heights. So unfortunately he was not enjoying the view from the top at all! Then we walked up to the Third Street Promenade, checking out some of the street performers. We headed to Barney's Beanery for James' perusal. Because more than Disneyland or the Hollywood sign, what my two brothers wanted to do in L.A. on Sunday was--watch the Steelers game. While they were driving down on Friday, James calls me--"Hey, Sis--find us a Steelers bar to watch the game on Sunday!" My brother has not missed a Steelers game in 20 years. So I googled "steelers bar los angeles" and came up with an article in the Pittsburgh Post Gazette that listed Steelers bars in all 50 states and some international locations--with a disclaimer that they couldn't vouch for the veracity of the information. One of the bars on the list was actually a British pub in Santa Monica. My research turned up no mention of a game day hangout for Steelers fans, so I crossed that off the list. 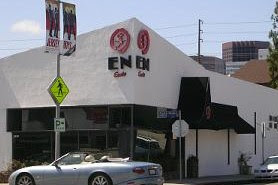 The other nearby location was a divey bar in West L.A. that didn't serve food. The ultimate Steelers bar in Southern California is a place called "The Steel Pit" (you know you're walking into the right place with a name like that! ), but it was located out in Tujunga. So now James says it doesn't have to be an official Steelers bar--as long as the game is one and there are like-minded fans (meaning rabidly insane...) there. More research turned up Barney's Beanery. It's a sports bar with three locations--the most convenient being Third Street Promenade. We walked into it--there were TV screens EVERYWHERE. James gave it the once-over and pronounced it suitable. On the way out, we asked the bartender (who was very helpful unlike most L.A. bartenders...) what time they opened. 9 am he told us. "We're not getting here at nine!," I protested to James. "Nah--we can get here at ten...," he said. Sunday morning they show up to my apartment dressed in their Steelers jerseys. I'm wearing a black long-sleeved t-shirt over a golden yellow camisole. They're impressed. When we get to Barney's, it's already pretty packed. We look around for some friendly faces. It doesn't take long. As we go to check out the upper tier, another Steelers jersey spots us. "We're over here!," says the total stranger. Ah, compadres! We are welcomed to Steelers fan-land and we settle in to watch the game. The Steelers stomp all over the Seahawks and with every touchdown, the fans do some stomping of their own as the chant for their team. By the last four minutes of the fourth quarter with the Steelers winning 21-0, James decides we can leave and do something else with the last remnants of their visit. As we walk back to the car, some guy notices the jerseys and stops David and asks about the game. Turns out he's a fan who just got back from Europe and was wondering about the outcome. We had about an hour and a half to kill, so we drove up Wilshire through Santa Monica and Westwood and checked out Beverly Hills. 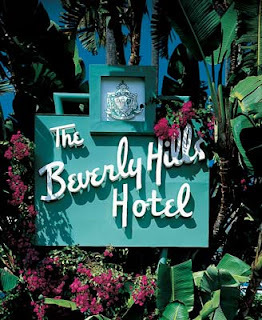 They got a glimpse of Rodeo Drive, the mansions, the Beverly Hills Police Station, Sunset Boulevard and the Beverly Hills Hotel. After all this, it's about time for them to hit the road north to San Francisco--to get David home and James on his flight to Pittsburgh. We ran each other ragged--but it was great to see them both. No fights or other sibling stuff--just a lot of laughs and hugs. James is back traveling for work the first week in December, and I have plans to go up to San Francisco and see David around my birthday in January. I made your blog! Now I'm famous! Thanks for the great trip, sis. I had a great time and I can't wait to see you again (in SF next time).